How many times have you bought garlic and used up all but a single clove? Ever notice cloves starting to sprout? No need to worry about wasting those garlic cloves. 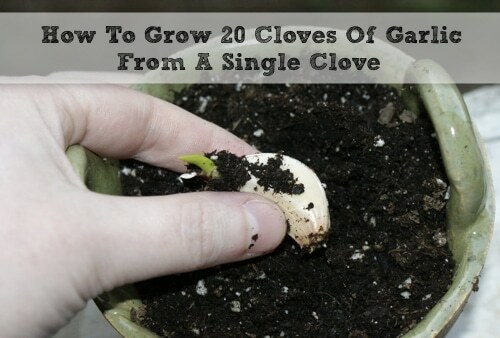 With this simple method, you can plant individual cloves and watch them grow into twenty cloves. Growing garlic is so easy that even an inexperienced or brown-thumb gardner can master it. Save money and never have to buy garlic again!